Keep that comfort coming with a grilled turkey and cheese, coming from those fresh Thanksgiving leftovers. 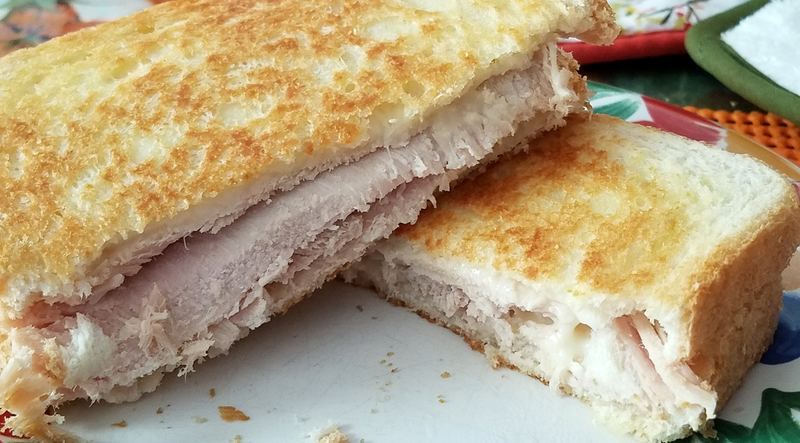 We regret using a bland provolone, but we still enjoyed the flaky crispness of grilled white bread, and the bonding of melting cheese, and that slow-roasted turkey, so moist and delicious. Second regret is the absence of gravy for dipping. Days after and we’re already ripe with remorse. Learn from our mistakes! Plan ahead for those leftover sandwiches!